This introduction to Epicureanism offers students and general readers a clear exposition of the central tenets of Epicurean philosophy, one of the dominant schools of the Hellenistic period. Founded by Epicurus of Samos (c. 341–270 BCE), it held that for a human being the greatest good was to attain tranquility, free from fear and bodily pain, by seeking to understand the workings of the world and the limits of our desires. 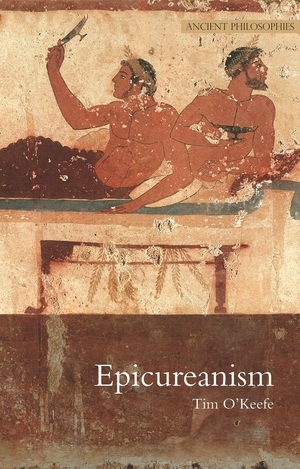 Tim O’Keefe provides an extended exegesis of the arguments that support Epicurean philosophical positions, analyzing both their strengths and their weaknesses while showing how the different areas of Epicurean inquiry come together to make a whole. Lucid, witty, and entertaining, Epicureanism wears its knowledge lightly while offering a wealth of stimulating and humorous examples.